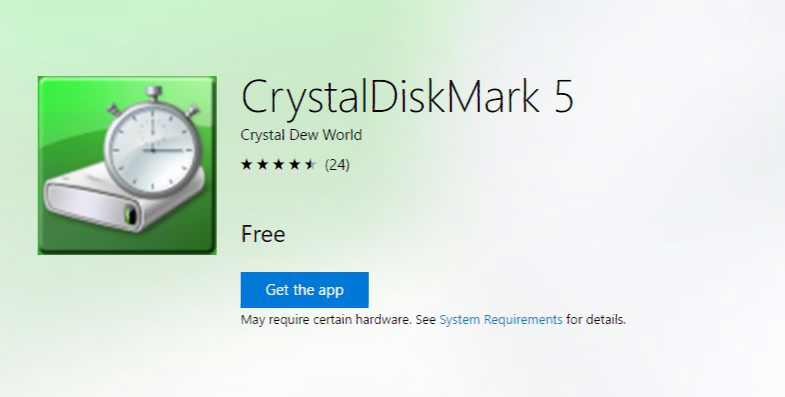 CrystalDiskMark 5 now released at Windows Store. CrystalDiskMark 5 is a free disk benchmarking tool. The app measures the read and write speed of hard drive in laptops and PCs. CrystalDiskMark used Microsoft’s Project Centennial to bring its app to Windows Store. Project Centennial convert “classic” desktop apps to the Windows Store. This help application to use Window 10’s API for notifications, Cortana, Live Tiles, and more. Soon you will see more classic apps in Windows Store. Now you don’t have search online for the CrystalDiskMark app, you can simply download it from Windows Store without worrying about viruses. The developer can now push updates to users directly. Note Centennial apps are only compatible with Windows 10 Anniversary Update PCs. That means if you download it from Windows Store it will not work on Windows 7/8.1 PCs.